Cabbagetown Branch accepts students on an ongoing basis. Beginners are welcome and prior martial arts experience is not necessary. Those with a background in other styles should be interested in practicing Shorinji Kempo in its standard form. Membership is open to men, women, and children (minimum age of 7) with a basic level of physical fitness. Teens usually train with adults, but this is decided on a case-by-case basis. 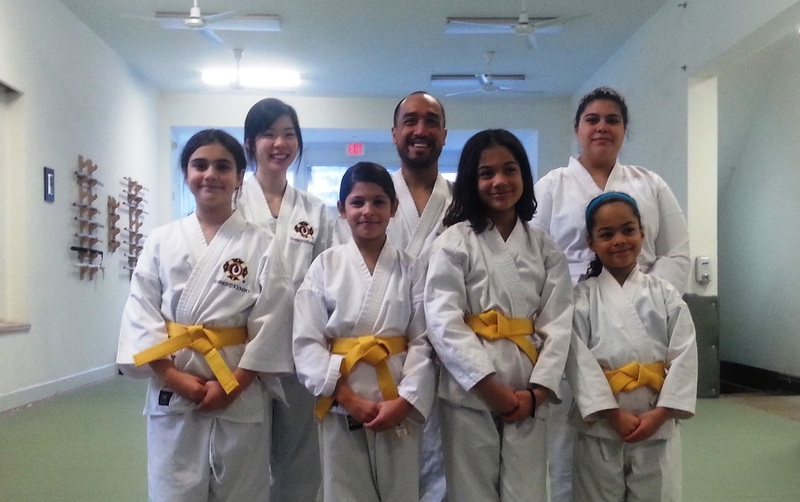 Shorinji Kempo is not a drop-in fitness class. Students are expected to follow a curriculum, learn some basic Japanese terms, and attend classes consistently. New students (both children and adults) usually get oriented in a few weeks and can take their first test within a few months. Pressure to advance is limited but complacency is also discouraged. Interested students should contact the branch to arrange a visit. Please email at least 24 hours in advance. Unscheduled visits disrupt the flow of class and are discouraged. When visiting, please arrive 15 minutes prior to the start of class. Note that the practice space is shared with Aikido Tendokai. Please be respectful of their class and members.